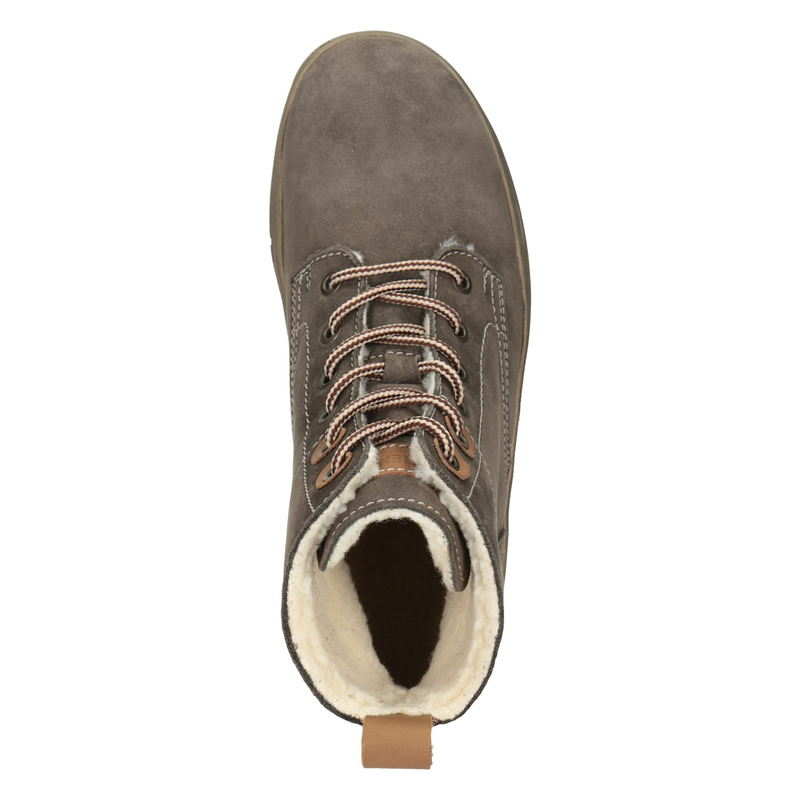 These Weinbrenner ladies’ ankle boots have a leather upper decorated with light-coloured stitching and feature a comfortable, grooved sole with a raised heel, which ensures maximum comfort. 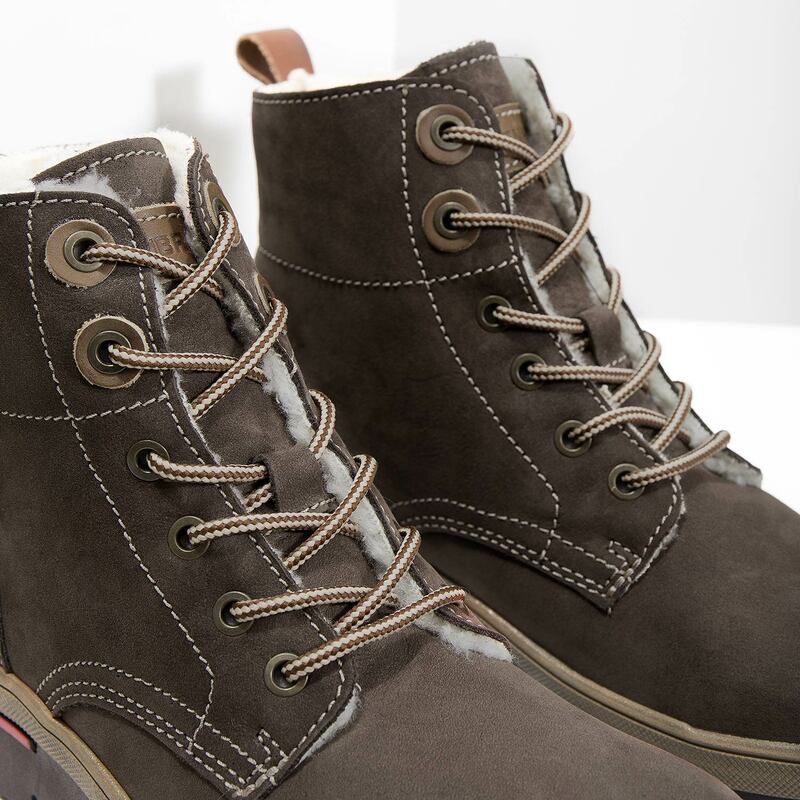 The light-brown lace eyelets and pull tab on the heel add an element of interest. 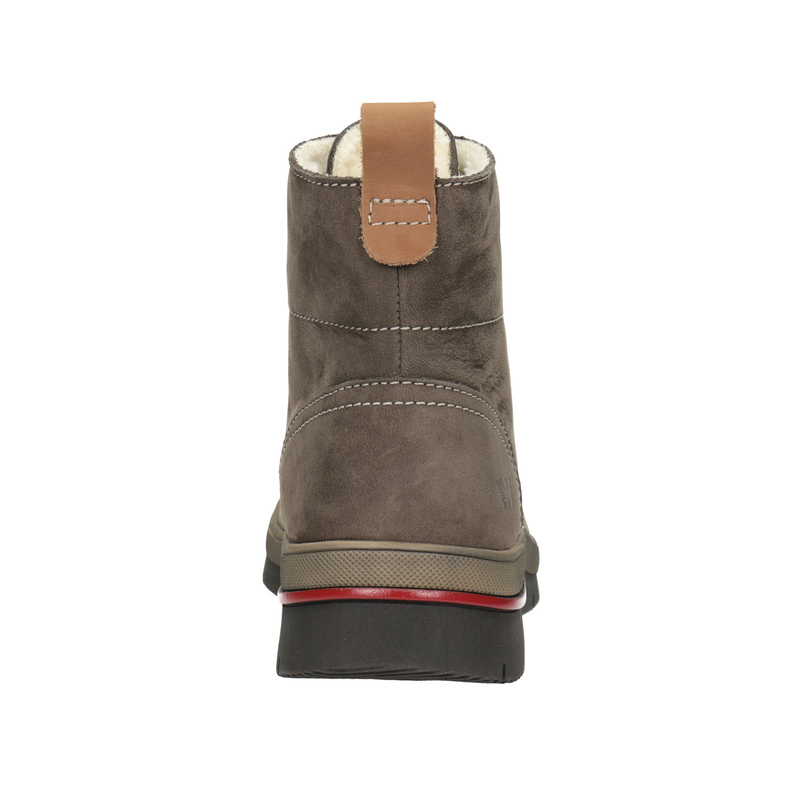 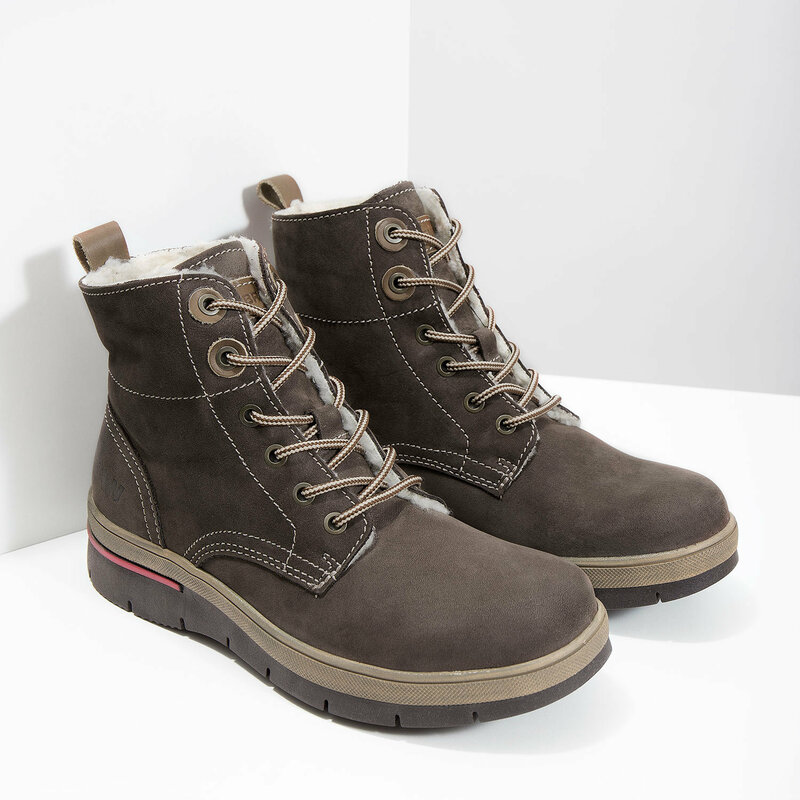 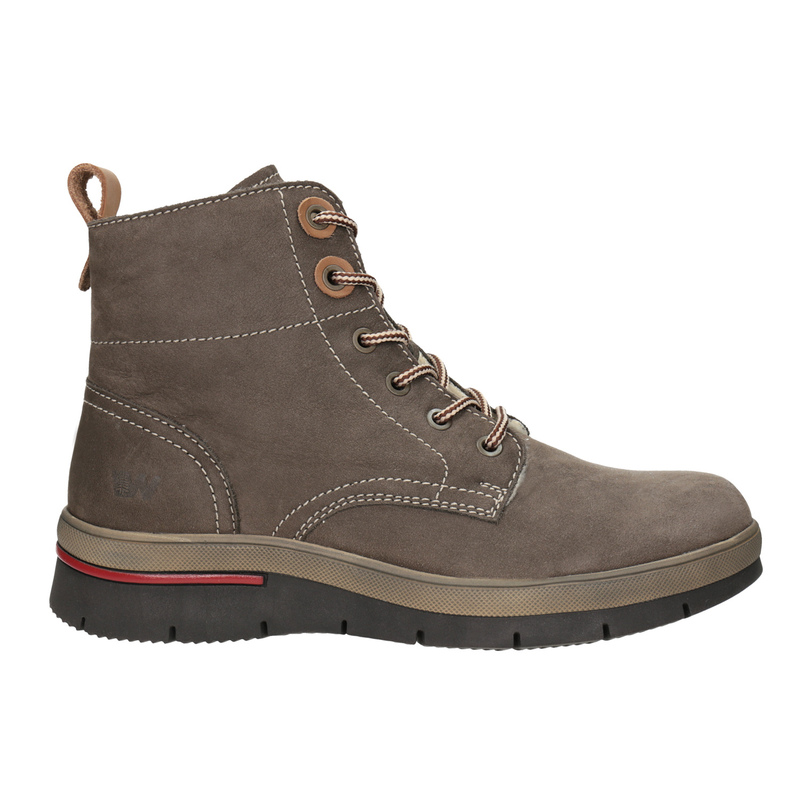 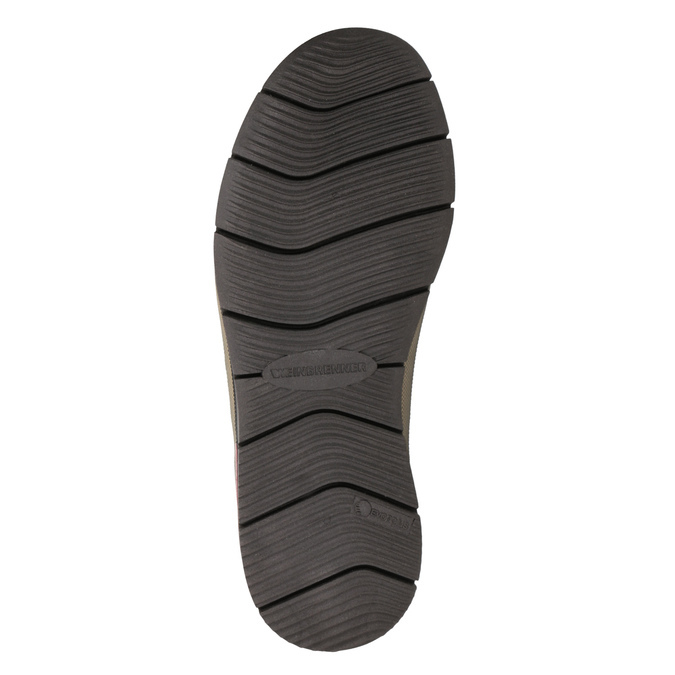 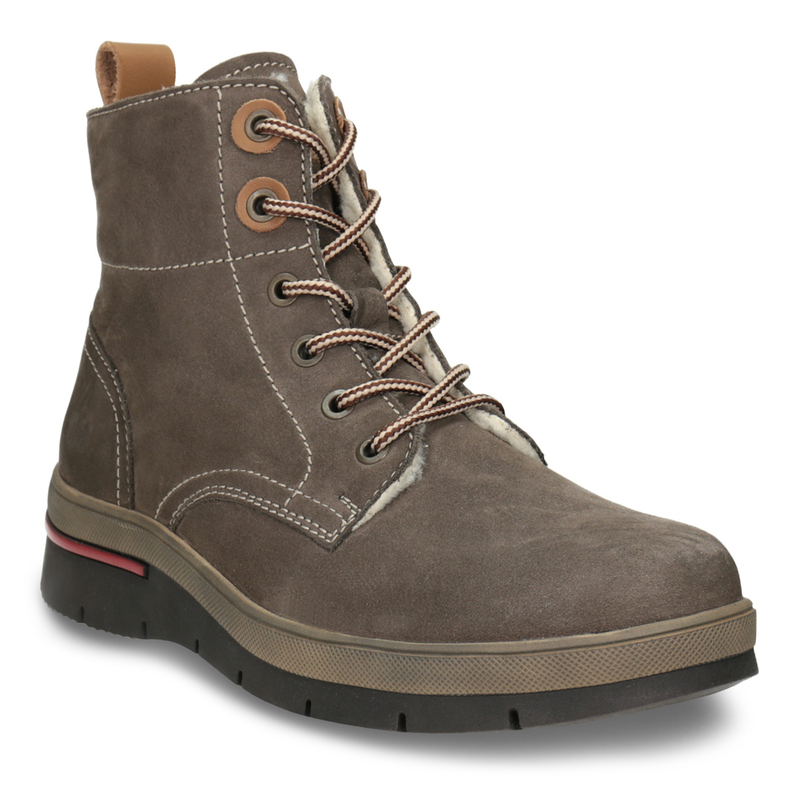 These boots have a fleece lining that will keep your feet warm, even in harsh, chilly weather. Pair with your favourite winter outfits, and set out for the city streets!